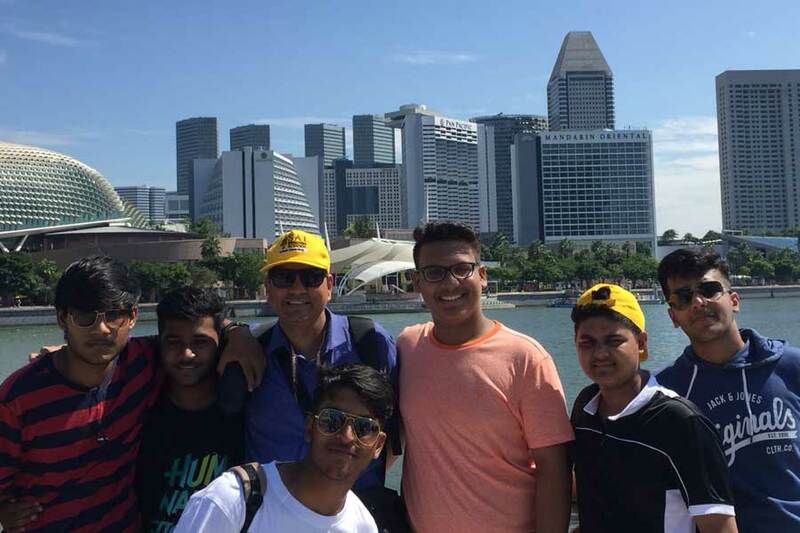 The second day morning of the GIP was hectic and exhaustive for the students of SAI International Residential School but at the same time they were even delighted to check out Singapore. 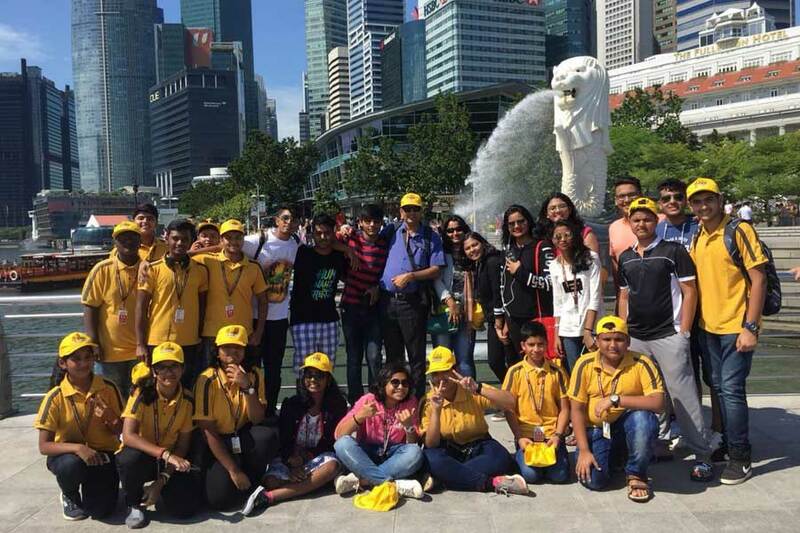 They reached the Changi Airport, Singapore early in the morning, after a delicious South Indian breakfast at the Airport; they boarded the bus and headed towards the main city of Singapore. 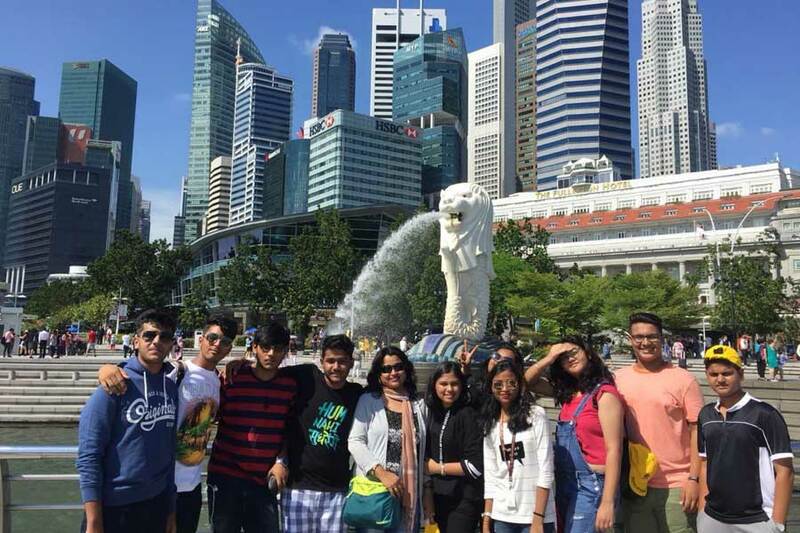 They drove through the SUNTEC city fountain, and then halted in front of Fullerton Hotel that is the Merlion statue. It is considered as of one the most visited tourist destinations of Singapore. The next stop at the Singapore Flyer was truly awesome. They went inside the capsules and waited to reach the top. The view from there was breathtaking and worth capturing in the lenses forever. After the exhaustive morning they had lunch at Little India and later it was time to check-in at the hotel at about 4:00 PM. After a power nap they went down to a nearby fast food restaurant and grabbed some snacks. It was an exhaustive but an exciting day, the SAIONEER spirit is unbeatable they look forward to a more fulfilling tomorrow. They are gaining exposure, confidence and a feeling of freedom at the GIP.